The thing that sets Dragon Ball FighterZ apart from pretty much every other video game in the franchise is that it is a rock solid fighting game at its core first and foremost and doesn’t just rely on the license to be appealing. I won’t be one of those fools who says “Finally, a good Dragon Ball game!”, because that’s nonsense and there have been plenty of good ones, but those other games almost always came with caveats and exceptions and “It’s fun, but …” and were made with die hard fans in mind because they’ll play pretty much anything with Goku in it. 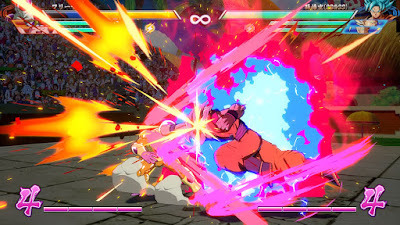 Dragon Ball FighterZ, on the other hand, can stand on its own two feet as both a genuinely solid 2D fighting game that will appeal to fans of the genre of pretty much any skill level whether you’re a Dragon Ball fan or not, but it is also a passionately crafted love letter to the franchise that fans will absolutely adore as well. Dragon Ball FighterZ is a fantastic fighting game that both DB fans and fighting fans will love. See our full Xbox One review for more. I think the most important thing that needs to said about Dragon Ball FighterZ is that I think anyone will be able to jump in to DBFZ and have a good time whether you are a die hard fan of the anime / manga franchise or not. Unlike a lot of recent Dragon Ball Z games, the focus isn’t so much on gratuitous series fanservice (though there is plenty) as much as it is on the quality of the fighting gameplay itself so you don’t have to be a super fan to enjoy it. You can just approach DBFZ the same way you do any other new fighting game and have a great time. Obviously, you’ll have even more fun if you are a fan of the franchise, but don’t let the fact you’ve never watched an episode before get in the way of playing DBFZ. The fighting gameplay really is good enough to carry the whole experience. The gameplay is so good because it is deceptively simple and allows for anyone to pull of some incredibly flashy moves, but also has a lot of depth and strategy to it that will keep player engaged long term. The basics are that DBFZ is a 3-on-3 tag team fighter similar to Marvel vs. Capcom 3. You can tag in teammates as well as call for assists during combos. Every character has the same basic moves – everyone has auto combos if you tap the light and medium attack buttons, every character has the same guard breaking burst combo, etc. – but each character has unique special moves, projectile attacks, and other abilities that make them distinct. Tapping out different button combinations leads to different combos and just mashing stuff out can lead to some pretty crazy results. Yes, you can mash away and do cool stuff that looks awesome and really impressive. The difference between casual players and skilled players will become obviously pretty quickly, however. A casual player will mash out stuff and not know how they did it, but it looks cool. Skilled players will actually know why things are happening and, more importantly, how to counter them or prevent them in the first place when their opponent tries them. Both styles of gameplay and levels of dedication and seriousness can be equally satisfying and enjoyable, of course, which is why I keep saying Dragon Ball FighterZ will have a long lasting appeal despite your skill level. The game is just really, really fun to play. I don’t want to make it seem like the game is too simple or mindless, however, as there is a surprising amount of stuff to learn. 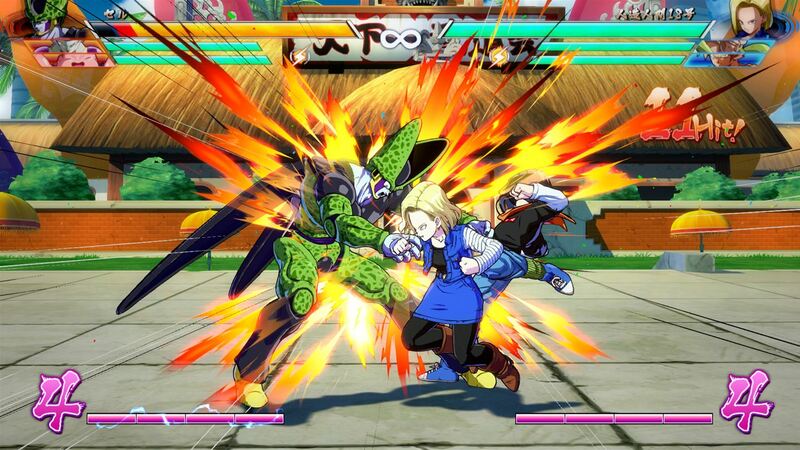 Like all of ArcSys’ games, DBFZ has a whole system of counters and defensive tactics and parries and situational dodges and contextual combo activators and all sorts of stuff hiding just beneath the button mashy surface. It can honestly be overwhelming when you’re trying to move up from scrub button masher into a skilled player who knows why stuff is happening because there’s so much stuff to learn that you (I do, at least) forget stuff you learned from one lesson to the next. It would sure be nice to remember how I’m doing destructive finishes (where you blast your opponent through a building or something) or other cool stuff rather than doing it accidentally all the time, but that’s more my problem than anything wrong with the game. As far as modes go, Dragon Ball FighterZ has plenty of content to keep you engaged. In addition to local and online multiplayer, including being able to easily spectate online matches, there is a practice mode, arcade mode, and story mode. I won’t go into story details, but I have to say I’m thankful that the main story isn’t just a rehash of the same DBZ storylines that every other game has done for three generations now. It’s actually an original story centered around brand new character Android 21. The story has you rescuing Goku’s friends to form a team of warriors and defeating enemies like Cell, Frieza, and Buu all while earning XP and upgrades and stuff. It’s enjoyable and surprisingly lengthy. The story mode also acts as a training mode as many missions also teach you gameplay techniques. The arcade mode is also interesting as it consists of multiple difficulties and route lengths, like most fighting game arcade modes do, but it is also dynamic in that it gets easier or harder depending on how well you do. Earning an “S” rank in a fight leads to different / tougher opponents in the next fight while doing poorly leads to easier opponents. It’s pretty cool and kind of an addictive way to keep you playing until you can consistently earn high marks all the way through the route. I do have a couple of small complaints with Dragon Ball FighterZ, however. First is that the roster of 24 characters (21 at first and 3 more you can unlock) is only so-so. We’ve been totally spoiled by previous DBZ games that had dozens upon dozens of characters, so paring that list down to just 24 means a lot of fan favorites aren’t currently present. There are also only 2 women on the roster, too, though I suppose that is pretty much how Dragon Ball is anyway so there aren’t a lot of women to choose from. More characters will be added as DLC, but I do wish the initial roster was a little better. Load times are also a bit of an issue as it seems to take forever to load each match. This has become more of a problem with fighting games in general this generation, though, but it is still disappointing. I’m also not a huge fan of the faux MMO lobby system that takes the place of the game’s menu. I guess it’s sort of cool to walk around as chibi characters and spam emojis at other players, but it is totally and completely unnecessary. 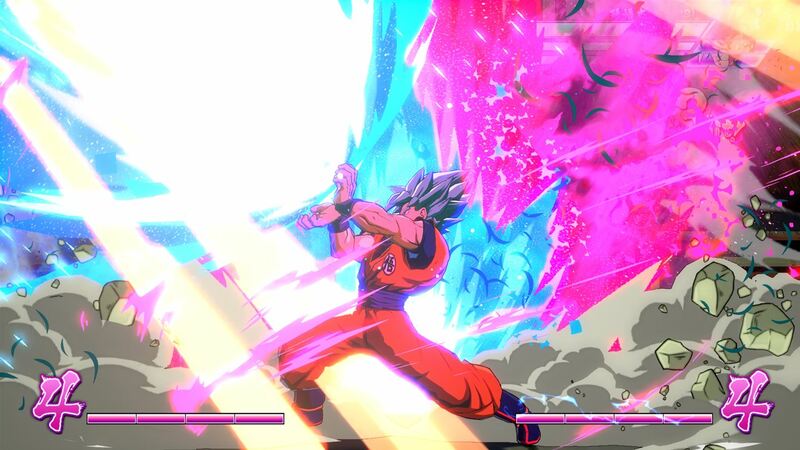 The presentation in Dragon Ball FighterZ is absolutely stunning. The characters look like they are ripped straight out of the anime and are incredibly well animated. It’s clichéd to say, but it really does look like the show brought to life. The sound is also fantastic with all of the real voice actors, both English and Japanese, and all of the familiar sound effects straight from the show. DBFZ is just plain gorgeous all around. 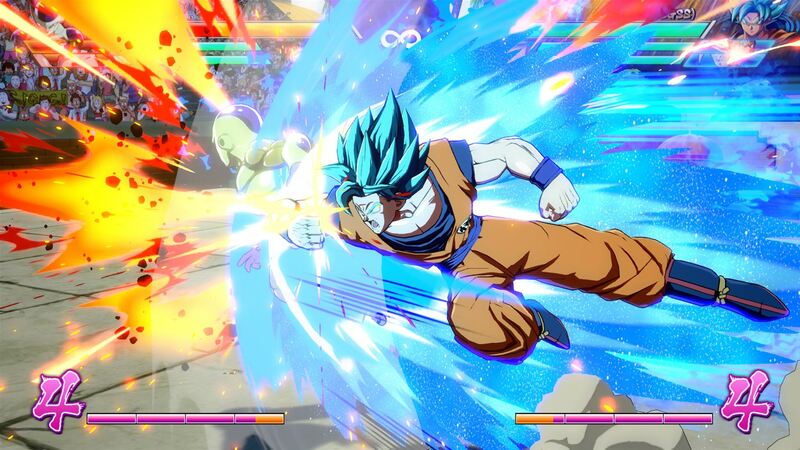 All in all, Dragon Ball FighterZ isn’t just one of the best Dragon Ball games ever, but it is one of the best fighting games available on Xbox One and PS4. The gameplay is the star of the show here as it holds surprising depth and strategy underneath wonderfully accessible and impressive and fun basics that mean casual fighting fans and tournament ready vets alike can play it and have a great time. That immensely enjoyable gameplay also means that this game isn’t exclusively for die-hard Dragon Ball franchise funs, but anyone and everyone can pick it up and enjoy it as it really is a good fighting game first and foremost. We’ve had a great time with it and can’t recommend Dragon Ball FighterZ highly enough. Buy it.